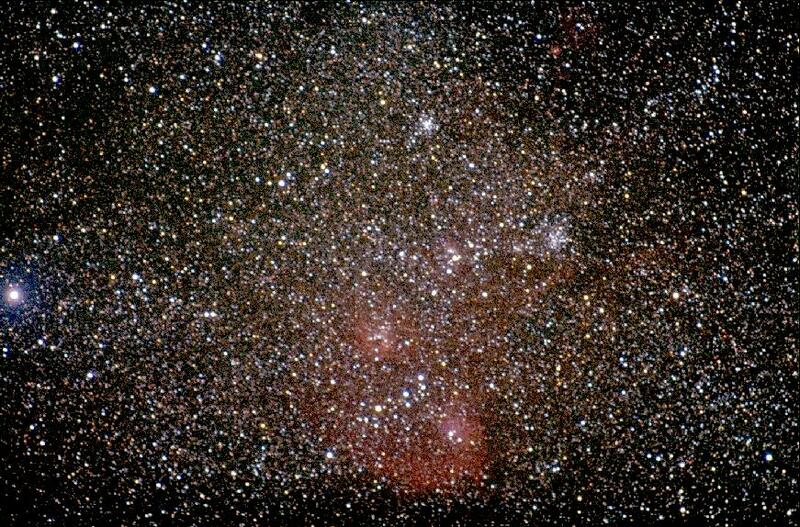 Two open clusters in Auriga, M36 and M38. This image was obtained by Sven Kohle and Till Credner of Bonn, Germany on January 4, 1997 at 2:35 UT on La Palma with a 180 mm f/3.5 telephoto lens, exposed 35 minutes on Scotch Chrome 400. 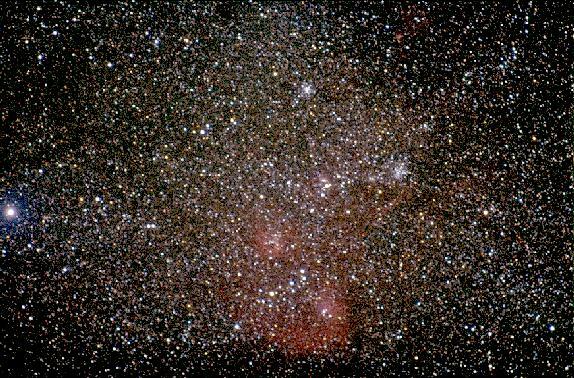 The field of view is 7.6 x 11.4 degrees, and contains also the emission nebulae IC 405, 410 and 417. The image is copyrighted by the observers.